I was offered a free admission through my creator ticket – these were distributed to creators who were signed up on the ipsyOS platform. Regular ticketholders were given pink passes, whereas creators were given yellow passes. I think when most people saw our yellow passes, they immediately assumed we were some popular Youtube makeup guru, hahaha. Oh well, I got to feel famous at a non-cosplay event for once! Anyway, the event doors opened at 9:30AM and doors opened at 11AM. I was at a friend’s birthday party the night before and was up late because wooo dranks!!! I ended up sleeping in and getting to the convention at 2PM. The event was set up in a weird way. 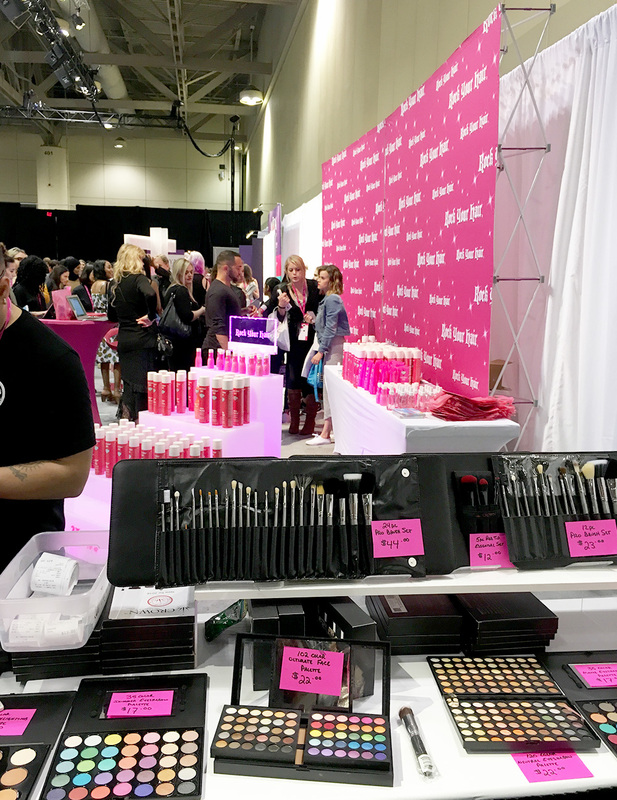 I though GenBeauty was going to be more like a little convention, with panels and brand popup shops and demonstrations. This was not the case. 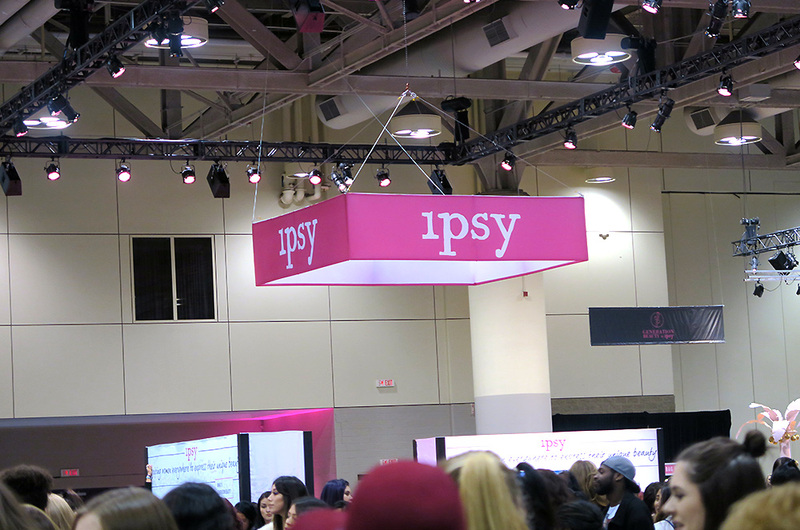 The hall itself had brand booths arranged in a circle, with the ipsy booths and smaller brands situated in the middle. 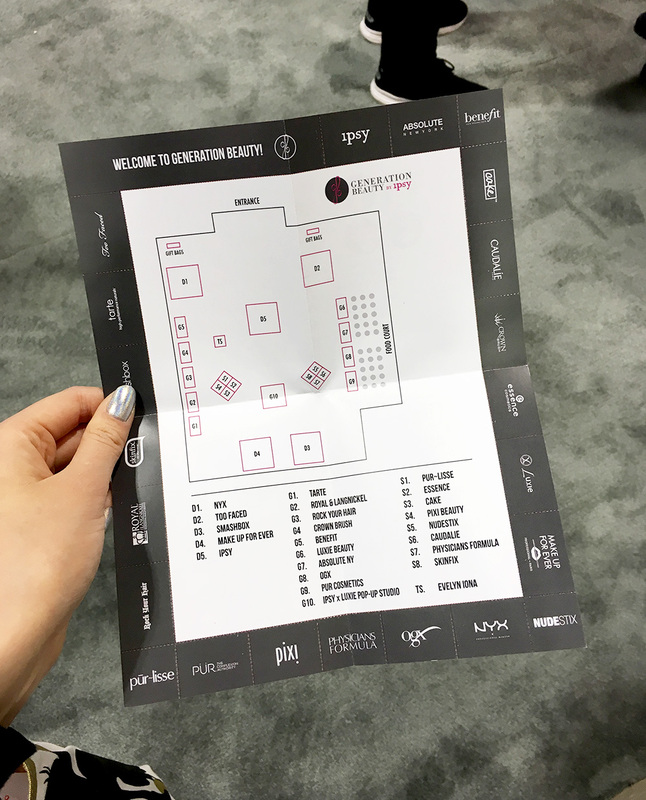 All attendees received a map and perforated coupons in the back of their pass cards – these coupons were used to receive items and samples at brand booths. But in order to get these items, you had to line up. When you got to the front of the line, a sales person or PR rep would take the coupon from you, give you a quick pitch, and hand you a makeup item. tldr; You waited in a line for half an hour just to get a deluxe sample size or full size item. Often brands had lines that were closed because they were too long, so you had to walk around and come back later. You also got a little giftbag with more samples / products. I only visited the Crown Brushes booth (because I wanted to pick up a new brush) and the Skinfix booth (because it was short). The lines for brands like Tarte and TooFaced were stupid, both times I went to line up, I was turned away because they were too long. 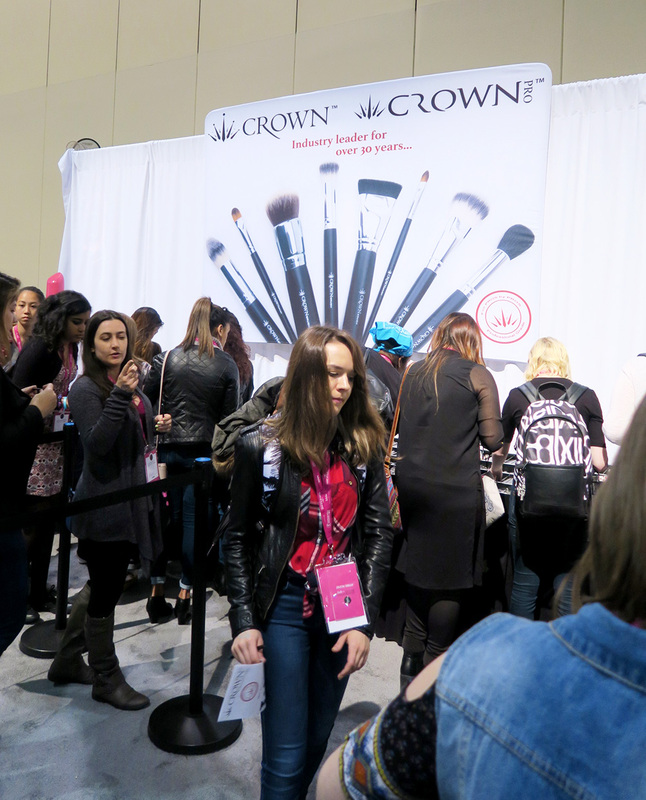 Apparently an email had gone out (that nobody in the Canadian Beauty Bloggers Network had received), about creator tours. Steph, Liz, and Zubie found out about these and I managed to latch on to their group! During a 30 minute session, a guide would take a group of creators to 3 booths for 10 minute info and demo sessions. We got to skip the lines and talk to a PR person about the brands and upcoming launches! 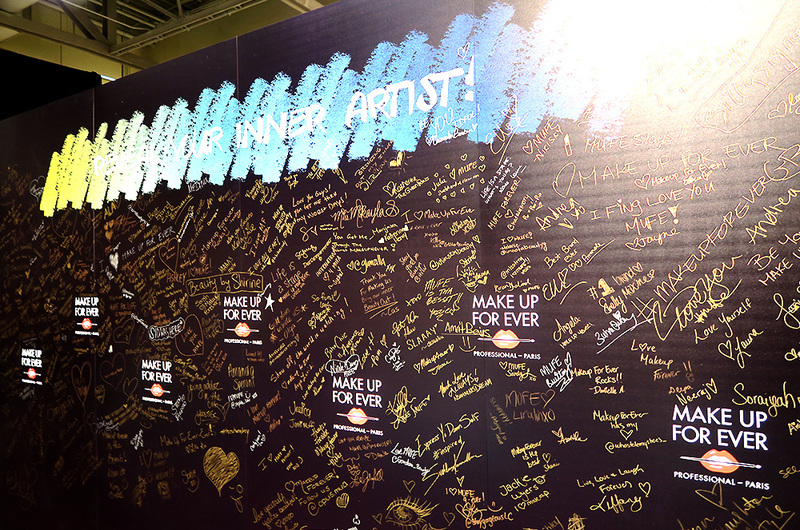 One of my favourite booths was Make Up Forever – there was so much going on! 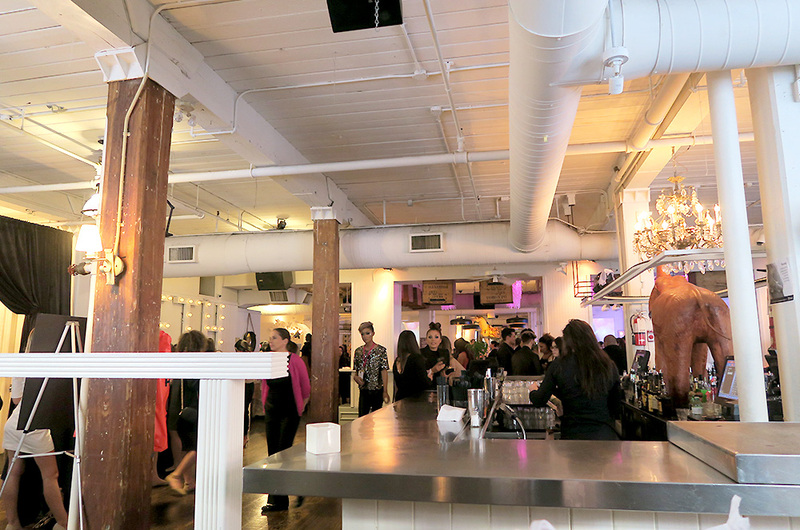 Ipsy also held a creator networking event / cocktail party in the evening. I didn’t have time to go home and change so I stayed in my shiny top / black jeans failsafe combo. It was surreal being in the same room as so many creators I’ve watched on Youtube! Even more so after learning they’re all about 5’2 and I didn’t want to scare them by going over and towering over them. Desi Perkins and her husband were standing right by the bar where we were seated! She looks so flawless in person too. At the end of the event, we received a large goodie bag full of products from the brands that were exhibiting at the convention. If you want to see more of that, make sure to check out Liz & Stephanie‘s posts! I totally forgot to take a photo of mine before my mom and friends descended on the bag 😉 #bloggerfail. Overall, I had fun at this event, as well as finally meeting some of my fellow CBB girls! 🙂 I finally have some beauty blogger friends yaaaaay haha! I hope they decide to return to Toronto next year – I’ll give them the benefit of the doubt since it was their first time holding an event in Canada. I think this event has so much potential, and it would be great to see it grow. 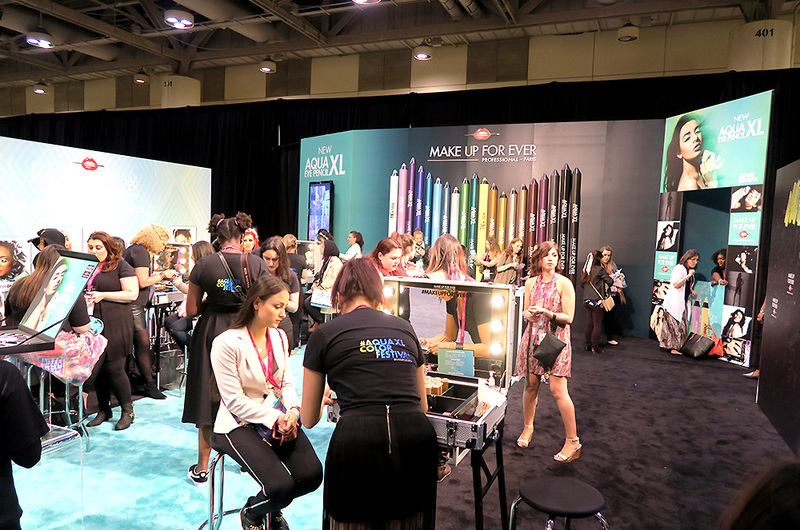 Did you attend GenBeauty? What were your thoughts?